The Shoaiba power plant is supplied with water from the nearby desalination plant. Location of the Shoaiba power plant. Erection of a boiler for the 2 x 367MW Shoaiba Power Plant (Gama acted as a subcontractor to Alstom Power Italy). Alstom Power led a consortium that was awarded the lead contract for the second phase of the project. On completion, the desalination plant was the largest in the world and uses multi-stage flash (MSF) distillation. The Shoaiba oil-fired CCGT power plant complex in Saudi Arabia is now generating nearly 5,600MW. Several stages and phases of construction of power and water desalination plant have been taken on by various consortia, including ABB, Alstom, Doosan and Bechtel. The total cost was thought to be around $5bn. The third stage was contracted to Alstom for $2.4bn. Shoaiba is about 120km south of Jeddah, on Saudi Arabia’s Red Sea coast. Desalination plants adjacent to the power station were needed because of the shortage of cooling water in Saudi Arabia. The power station has a number of turbines, heat recovery steam generators (HRSGs) and ancillary power generation equipment. "The power station has a number of turbines, heat recovery steam generators (HRSGs) and ancillary power generation equipment." The first stage of the Shoaiba project began in 1998. The turnkey contract valued at about $850m was awarded to an ABB-led consortium, with Saudi Archirodon as local partner. The power station has turbines 1, 2 & 3, heat recovery steam generators and ancillary power generation equipment. ABB erected the three units, with mechanical installation sub-contracted to Gama Industrial Plants Manufacturing and Erection Corporation. Gama worked on the turbines and boilers. The first unit of the Shoaiba plant came into operation in July 2001. The other two units were completed in August 2003. The lead contract for the second phase of the project was awarded to a consortium led by Alstom Power. The company was responsible for the project management, engineering, procurement, construction and commissioning. ABB Alstom in Denmark supplied blow tanks and dust inlet valves. The value of the Alstom contract was set at €440m (around $650m). Work on this contract began as soon as it was awarded. Commercial operations from unit four began in mid-2003 and at the end of 2003 from unit five. Alstom Power supplied two 400MW steam turbine generator sets, the boilers, the overall electrical and control systems and balance of plant. Shoaiba also has a multi-stage flash distillation (MSF) desalination plant, built by the Korean Hanjung (now called Doosan Heavy Industries) in partnership with Bechtel. This plant began producing up to 50 million cubic metres of water a year in 2000. The power station provides the desalination facility with steam to heat the seawater distillers while reducing its own cooling demands. A second desalination plant was constructed by Doosan in March 2003, for the state-run Saline Water Conversion Corporation (SWCC). Besides the desalination facility, the project included storage tanks, pumping station and water pipelines. Stage 2 cost around $1bn and increased water production to 150 million cubic metres/year. A number of companies were involved including Torishima (pumps), Albilad (fire protection and alarm), Samshin (valves), Poongsan (ACR and alloy tubes), Archirodon (pipelines and seawater intake structure), C&J Engineering (coatings), Young Poong, Salumco and Gemco. Ficthner was appointed by the Water and Electricity Company (WEC) to study a Phase 3 combined power and desalination plant under stage II. Power capacity was requested between 750 and 950MW and a desalination capacity of 880,000m³/d. The plant would be transferred to SWCC, with sale of power and water to WEC under a 20-year power and water purchase agreement. "The total cost was thought to be around $5bn. The third stage was contracted to Alstom for $2.4bn." The plant connects to the 380kV grid by a new high-voltage substation. The potable water is transferred via a new pumping station and water pipeline about 80km long connecting to SWCC’s pipeline network. The pipeline is built, owned and operated by SWCC. The plant burns crude oil sourced by WEC from Saudi Aramco. The oil is supplied by tanker to an existing unloading jetty near the primary site. Seawater needed for desalination and cooling comes through new dedicated seawater intake and outfall facilities. PIF and SEC formed a project company as a Saudi joint stock company, of which PIF initially owned 80% and SEC 20%. Tenaga Nasional Bhd and Malakoff Bhd, in partnership with Riyadh-based ACWA Power Projects Ltd., emerged as sole joint bidder for the remaining 60% share. The Saudi-Malaysian consortium was selected to build the Shoaiba Independent Water and Power Project (IWPP). The Saudi-Malaysian consortium now owns and operates the 900MW and 880,000m³/d plant. It was planned to come on stream in 2006, and thought to cost $2.3bn to develop. The power capacity at the Shoaiba power plant was increased further by the addition of three 400MW blocks with a combined capacity of 1,200MW rising the plant’s gross capacity to 5.6GW. The construction started in September 2008 and comprised of installing Alstom’s STF40 steam turbines and GIGATOP 2-pole turbogenerators. The seawater flue gas desulphurisation system uses brine to separate sulphur oxide from the flue gas. Nitrogen oxides are reduced by using NOx-reducing tangential firing technology. ALSPA power control system is used for the overall plant management. The Shoaiba project involved the construction of port facilities to offload crude oil. Tankers from 20,000dwt to 100,000dwt can berth there. The jetty was constructed in an area with moderate weather conditions but exposed to heavy seas. The main facility is composed of a 41m x 25m unloading platform with four mooring and four breasting dolphins. An 85m-long access bridge and a 350m-long causeway connect the unloading platform with the plant area. The site also has a smaller jetty for other vessels such as tug boats. The Shoaiba project is a distinctively Saudi Arabian one. Few countries are building oil-fired power plants, in part because of environmental concerns as oil burning is a significant contributor to greenhouse gas emissions. They are also unpopular because of price and supply uncertainty, but Saudi Arabia is unusual in having such huge oil supplies. A second feature of the project was the construction of desalination plants. This was necessary because Saudi Arabia’s growing demand for water far outstrips supplies for the desert country. 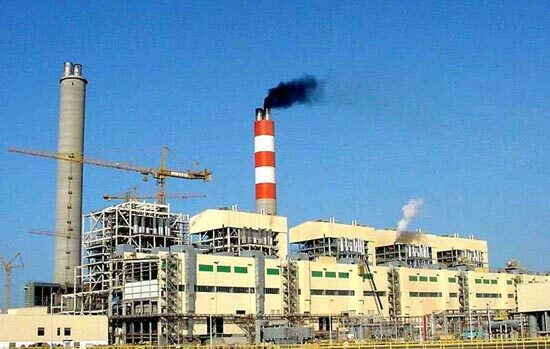 The western Saudi Consolidated Electric Company (SCECO), a majority state-owned corporation, owns the Shoaiba power plant. Building at the site was initially delayed as a result of the SCECO’s budgetary constraints, but these have now been eased. The company is responsible for providing power to the Western Province of Saudi Arabia including metropolitan Jeddah, Makkah, Madinah and the Industrial City of Yanbu. STENFLEX develops, produces and supplies flexible pipe connections to customers worldwide. Starting with rubber products in 1874 WENDT has developed into one of the leading suppliers of noise hoods, sound and thermal insulation and high temperature insulation products. WENDT delivers its noise protection hoods to a number of industries including the energy sector, oil and gas, and the mining and chemical industries.